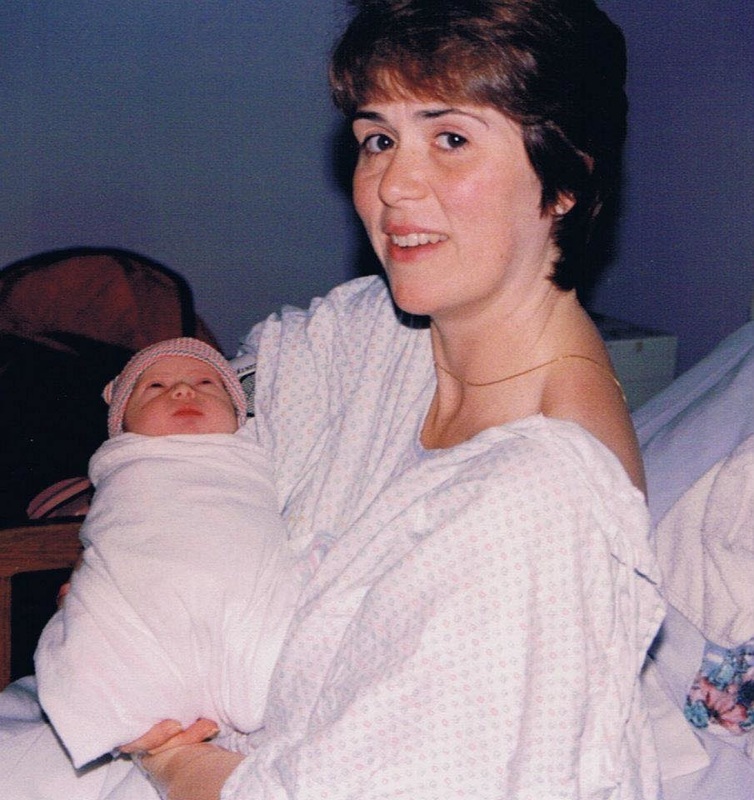 Born January 1, 1996, Kristina, the youngest of my two daughters was brain damaged/injured after birth. She is severely learning disabled. She has expressive and receptive language and social interaction disfunction, she was unable to speak at all her entire childhood, but through many years of therapy can say some words. She has sensory processing disorder, gross motor and fine motor delays, self stimulatory behaviors, perseveration, apraxia and echolalia. She has uncontrollable meltdowns, and has self injurious behaviors. Diagnosed at age three: Autism. SHE WAS NOT BORN THIS WAY. My daughter was conceived naturally. I never used fertility treatments. I've never taken a birth control pill. I've never been on any prescription medicines, prior to or during pregnancy. I didn't have any health issues, problems or complications during pregnancy or delivery. (No high blood pressure, diabetes, etc). I NEVER smoked, drank alcohol or caffeine while pregnant. I had regular prenatal visits, I gained 25lbs (started at average weight of 125lbs. 5'6"). ​Kristina was my second baby. My first pregnancy went just as easily. She was born full term, 40 weeks gestation, 6lbs. 10oz. I was in labor less than 4 hours. Natural vaginal delivery. Her apgar scores were excellent. She went home in little over 24 hours. She was a perfectly normal, bright, happy, healthy baby up until the time I started vaccinating her. Then the back arching and the non stop piercing high pitched screaming started, along with loss of eye contact and loss of desire to be held. Then the head enlargement. (Which I later learned is ENCEPHALOPATHY, and is listed as an adverse event on vaccine package inserts.) Then the absence seizures, which, at 20 years old, she still has regularly. ​Between 7 weeks old and 9 months old she was given 3 DTP vaccines, 3 HiB vaccines, 3 Hep B vaccines, 2 (OPV) polio vaccines. (Same as my first daughter who is normal.) At 12 months old she had the MMR vaccine and lost all her babbling, receptive language, eye contact, stopped responding to her name being called, and within days regressed into "her own world". And yet, I continued fully vaccinating her per CDC recommended schedule. Because I didn't know any better. Vaccines took away her ability to speak, to learn, to communicate, to make eye contact, to follow directions, to point, to respond to her name. Vaccines caused her brain to swell, gave her absence seizures, made her scream on a daily basis, cover her ears over every sound, bang her head on floors and walls, made her toe walk, perseverate and have self stimulatory behaviors, and smear herself with her own feces. 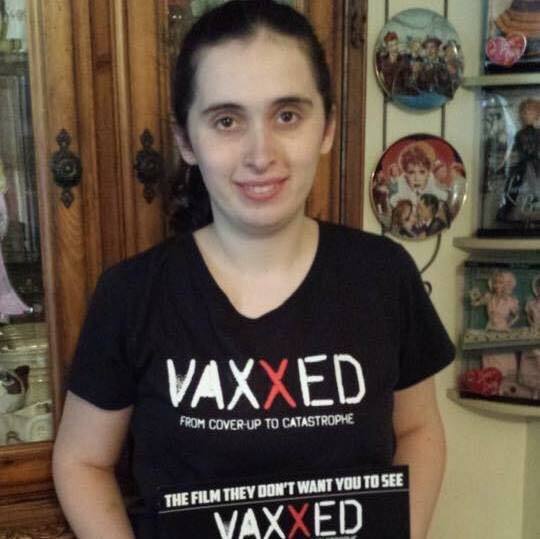 Vaccines took everything away from her. She'll never drive a car, have a career, get married or have a family. She'll never even be able to walk independently to a store and buy herself something. ​It can not be a coincidence. And yet, over and over and over, I'm told it wasn't the vaccines. Now I know hundreds of parents with similar stories with their children. If it could happen to me, it could happen to anyone. And if it does happen to you, know that you will be mocked, threatened, intimidated and told you are crazy by the majority of doctors and society. We know vaccine injury happens. We know it's random and unpredictable. Yet, I'm still told vaccine injury is rare, vaccine injury doesn't cause autism. It's a lie. There is no other plausible explanation for what happened to my daughter. I have no idea why or how it happened to one of my children, and not the other. But it did. You may not believe vaccines cause autism. But vaccines do cause brain damage. Question why the medical community is calling vaccine induced brain injury in babies "Autism". Get back to me when you know the answer. You can see my daughter got MMR by itself on 1/8/97. She had just turned 12 months old. I think that's the one that really did most damage. Although I'll never know for sure. ​Kristina - 2015 ~ It's been a long difficult journey. ​Please read Kristina . . . "Not Born With It"